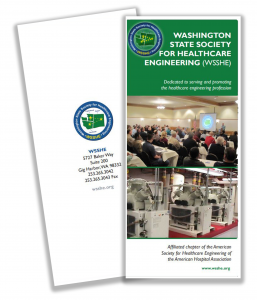 Organized in 1973, the Washington State Society for Healthcare Engineering (WSSHE), is a not-for-profit, incorporated association, dedicated to serving and promoting the healthcare engineering profession. Our vision is to be the leader in providing timely technical information and management growth to our members through education, peer networks, and relationship building with suppliers of health care services and products to better prepare ourselves for managing the healthcare environment. To learn more, download the brochure here.